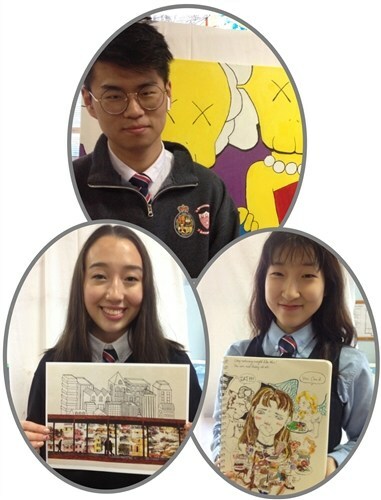 Grade 11 IB Music students are required to perform for a panel of jury adjudicators as part of their applied studies portfolio. Max Cole is a fantastic young guitarist and singer from right here in Windsor, and he is in his fifth year at our School. He is an integral member of the School Jazz Band, seeks centre stage as a leading cast member of every musical, and fronts his own pop band, Alkazar. Max elected to play a Carlos Santana guitar selection, entitled Europa. Accompanying him is our long-time guitar teacher and my dear friend and colleague, Mr. John Tetrault (1968-70). 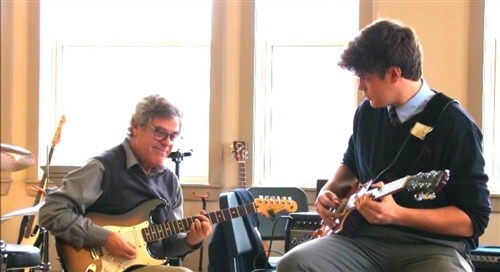 John is terrific at mentoring students like Max to strive to reach their full potential musicianship and beyond. What is an interesting aside is that John is also an alum of KES and his name still resides on the infamous "Wall of Payne" for his accomplishments in track & field during his KES school days! Click here and enjoy the performance! As you have no doubt read before, Ms. Stephanie Cummings has joined the KES faculty as our new dance teacher. This is a fantastic addition to our Performing Arts Programme, and our dance aficionados are wild over it! To date, Ms. Cummings has assembled her dancers to perform for some of our various public events such as the Terry Fox BBQ, Grandparents' Day, and Open House. I have been delighted to see fresh new choreography each time, showcasing creative, expressive, and talented routines. 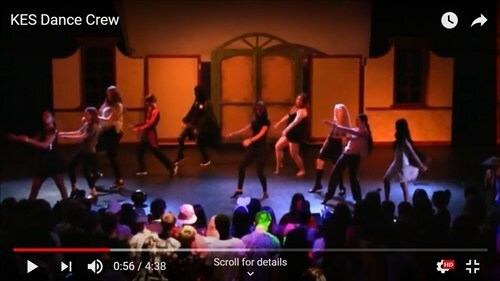 This week, I am taking a break from my usual musical feature to present a breakout routine that the dancers did at our recent Halloween Dance. Be prepared to watch Ms. Cummings lead the troupe to Sail in this performance art piece. Their onlookers were surprised, supportive and impressed, and the dancers left the stage to join their peers on the open dance floor feeling accomplished and appreciated. I hope you enjoy their performance! As you may be aware, King's-Edgehill School thespians, musicians, and dancers are gearing up for one of the first non-equity productions of Mamma Mia here at our School from November 22ndto 24th (mark your calendar!). Grade 10 student, Sarah Bell , and Grade 11 student, Katie Goddard , are both instrumental in choreographing some of the numbers in the show. While waiting for the troupe to work out their steps of Waterloo during the last rehearsal, I heard the two girls harmonizing a different tune that is not a song in the show. Their voices blended beautifully on this song that I had not heard before. I approached them and asked if they would let me feature them in our weekly Newsletter and they immediately smiled and said yes. Katie announced that she would learn a piano accompaniment for the next day. What this clip reveals is a first rehearsal of the piece. While I was getting the camera ready, the girls attempted Demi Lovato's, Stone Cold , with Katie playing the piano. They discussed the harmonies and a chord change; then, I turned the camera on them. None of the weekly videos I release for our Newsletter are engineered or edited. This is a fun example of an 'almost perfect' first attempt, with a reaction at the end that will entertain you nearly as much as their performance. Click here to watch their performance. During our faculty professional development days, I was approaching an afternoon session being held in the theatre, when I heard Crazy Train booming loudly in the Concert Hall. I thought it was a recording and it was, with one exception: playing the lead guitar part (and shredding it like a pro) was one of our new Grade 9 International students, Qili (Jason) Hu, from Taiwan. He absolutely nailed every chord and riff exactly like the original recording. I asked Jason to give you his comments, which follow, and I ask you to watch a clip of Jason playing with an accompaniment track and witness his talent and enthusiasm for Heavy Metal music. 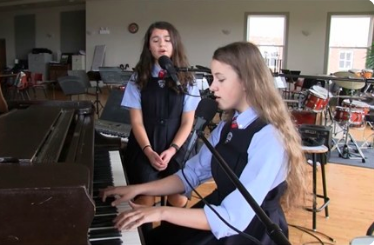 Grade 10 day students, Victoria Dubois and Ileana Wheeler, are both musical dynamos who spend most of their spare time in the music room working on duets. In addition, these two are in my newly-formed jazz choir, and Victoria plays the flute in the Concert Band, while Ileana plays the violin. Recently, these two have been working on a Calum Scott song entitled You Are the Reason. Like last week's feature, this clip exposes both the talent and the joy that our musicians share when making music together for fun. Enjoy the performance! Wednesday was the first day of classes for the 2018-2019 School year. A young lady arrived in my classroom seeking information on how she might possibly join one of my music classes. 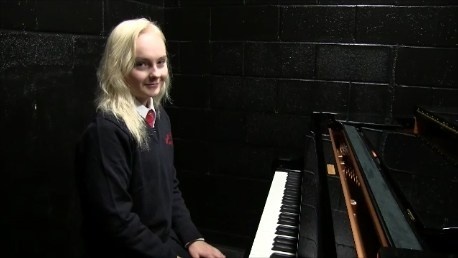 She introduced herself as Elisabeth Lohi, a Grade 11 student from Finland who is passionate about playing the piano. After a brief conversation, I invited her to play for me. She accepted immediately and seated herself at one of our grand pianos. It took only a moment for me to realize that she is not only passionate, but truly gifted as well. 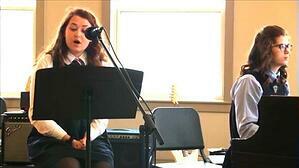 I asked her if I could record her for our first musical feature of the Headmaster’s Weekly E-Newsletter. She smiled and said, "Yes, of course." Remember, this talented young lady is in a new country, culture, and school. I am told that there are many new students who are attending King's-Edgehill School this year but, I am sure you will agree, that Elisabeth has set the bar high on her first day! Click here for her performance.